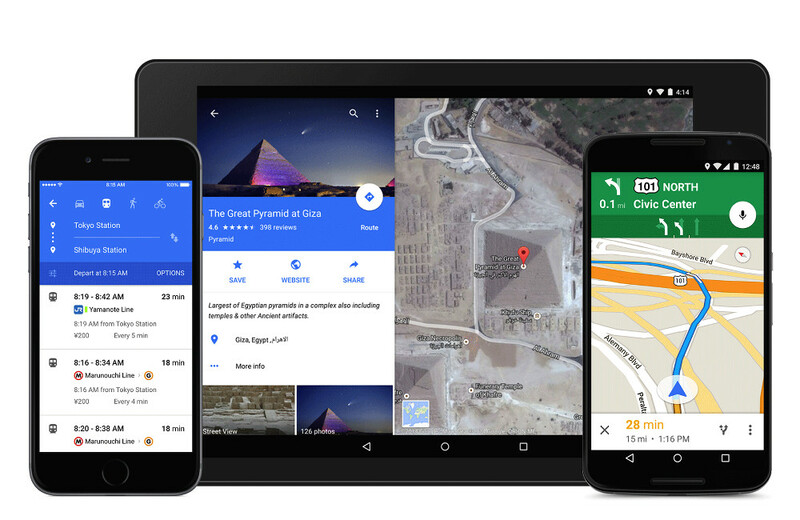 Google Maps is getting its big Material Design makeover this week, as announced in a blog post by Google moments ago. The “fresh new” design with bright colors “is all about creating surfaces and shadows that echo the real world.” With Material Design leading the charge, Google has tried to make layers and buttons “come to life” so that you in-app experience is glorious. But a makeover isn’t the only new item to talk about here. 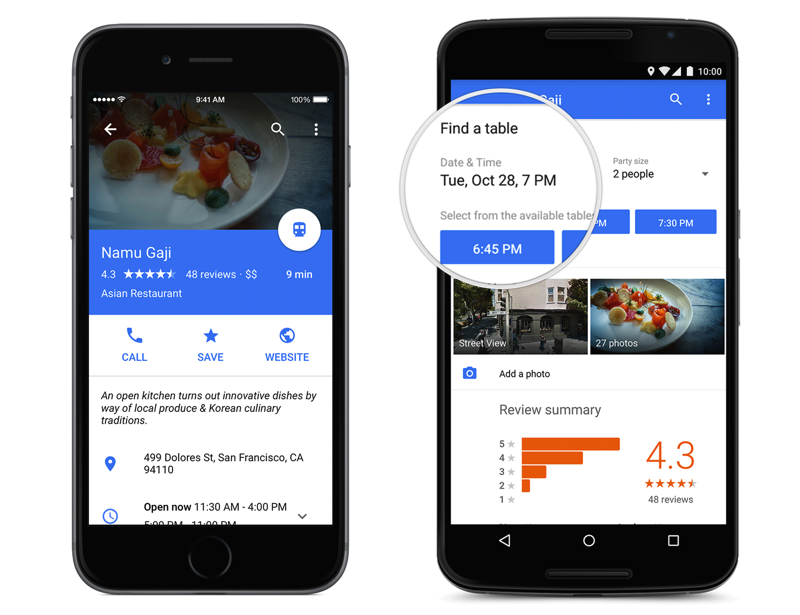 Google also tossed in an option for booking OpenTable reservations from within the app. 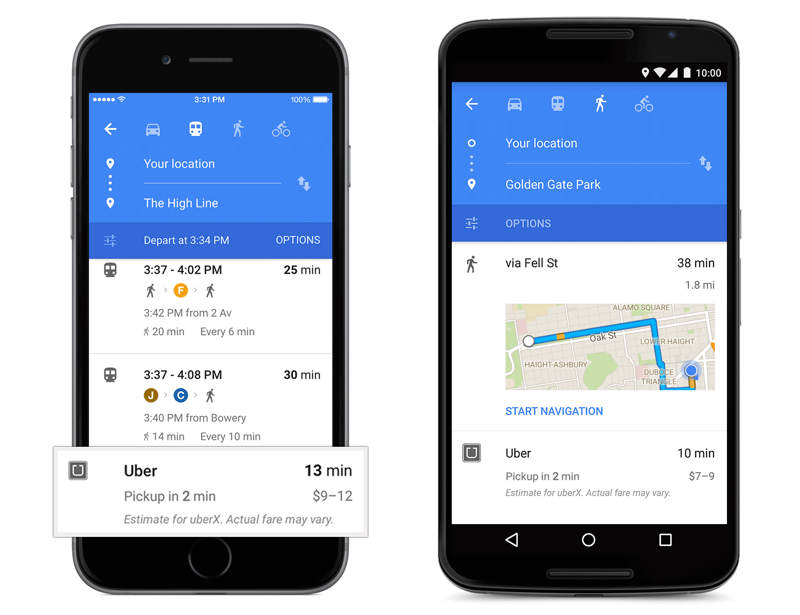 They even added in Uber pickup estimates, for those deciding between walking or taking transit. All you need is the Uber app installed and be in a city where Uber is available. The update will likely rollout to all over the next few days. So far, though, Google hasn’t posted the update to Google Play. Once they do, we will do our best to share it.